About Us - Pine Lighting - Victoria B.C. 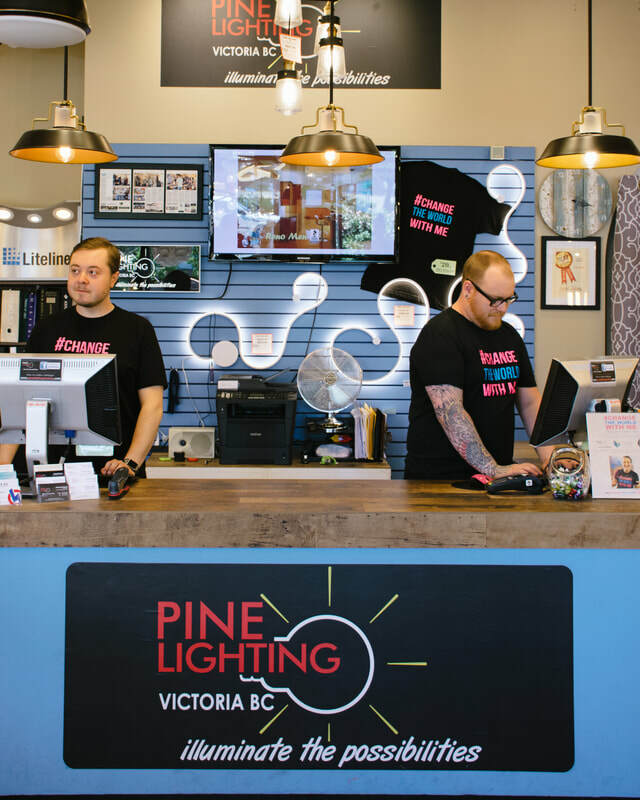 Pine Lighting Victoria is a locally owned franchise that strives to work with you and for you. We are a young and energetic yet knowledgeable staff that loves what we do and will strive to make your lighting experience as easy and as much fun as possible. Many of us have been in lighting for the majority of our adult lives and the others have decided to make it a career! We truly love the work we do and the clients that we serve. We work within the building industry, a very diverse and exciting sector, to provide a wide variety of products from suppliers such as DVI Lighting, Progress Lighting, Kendal Lighting, and Hinkley Lighting to name a few. Our expertise covers residential, small or large renovations, new home construction, restaurants, hotels and multiple unit townhouse and condominium projects. Pine Lighting can offer a very competitive package based on your requirements for style, color and décor. We include a complete service with larger projects, which includes a site visit and/or help with your lighting layout if you need some advice and then will walk you through your choices at our store location. We also provide consultation on style, fixture colour and suitable light levels for every lighting project. We do our best to provide a seamless and stress free job no matter what size the project. Our mission is to find you the lighting that you love at an affordable price with as much fun as possible. We would love to help take the stress off your mind and find you lighting that you will love for years to come. Let us help you 'Illuminate the Possibilities'!